Advocates of HD DVD are reeling this morning after Microsoft finally announced that the new and improved 'Elite' Xbox 360 will not sport an internal HD DVD drive. The news comes after the Sony-backed Blu-ray format was significantly boosted by impressive sales of the Blu-ray powered PlayStation 3 this week. Microsoft's support for the HD DVD format is seen as vital by Toshiba; the company was hoping that the new Xbox 360 would come packing an internal HD DVD drive, giving the format a real boost. As it is though, Microsoft has left the door open to switch alliances, with the possibility of an external Blu-ray drive joining the external HD DVD offering at some point in the future. John Rodman at Microsoft said that the company was leaving it up to the customers to decide which of the new optical formats they wanted to support. "I think, if nothing else, this is an acknowledgement that Blu-ray is going to win," said Michael Pachter, an analyst at Wedbush Morgan Securities. "It would have been a costly mistake to build it into the hardware if HD DVD loses and I think Microsoft sees this as an unacceptable gamble." Meanwhile, Sony is forging ahead with its campaign to install Blu-ray as the new emperor of the optical media formats. Last Friday it launched the PS3 in Europe and Australia, and today is has also announced that it has scheduled the release of its first standalone Blu-ray player in Europe for this summer. 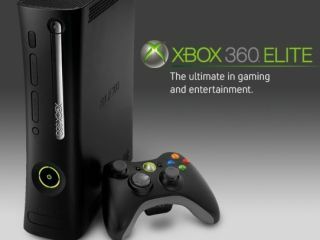 Peter Dille, senior vice president of marketing for Sony Computer Entertainment America, said that the launch of the Elite Xbox 360 would not damage PS3 sales. He said that the PS3 is already an elite experience. "We think every PlayStation 3 owner should have an 'elite' experience, which is why we include an internal hard drive and HDMI output in every PS3 we sell, along with the 50GB of storage capacity on a high definition Blu-ray disc," he said. "Sony has been the strongest advocate of high definition as the future of next-generation gaming. This requires high-definition components, including HDMI output, and large storage devices to deliver and store all that rich and vivid HD content. "Microsoft's announcement today not only legitimises Sony's PS3 strategy, it moves us closer to adopting universal standards in the area of high definition gaming that will benefit game developers and ultimately the end user."